Our Spring Fundraiser will be held on Sunday, May 5, from 8:45 am -1:00 pm. We are so excited about all of our fantastic prizes and hope you will join us in supporting our school! On Sunday the 5th, a delicious breakfast will be served all morning long at Cross of Life and everyone is invited to join us for scrumptious food and great prizes. 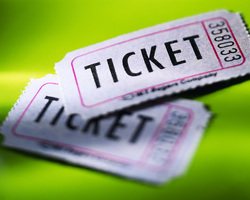 All you have to do is purchase the desired amount of raffle tickets, choose the item(s) you’d like to bid on, and at the end of the event, we will draw 1 ticket per item, with the corresponding ticket holder winning the item! Please note, you do NOT have to be present to win, and tickets will be for sale prior to and during the event. Feel free to share this page with friends and family. Anyone can purchase raffle tickets - $1 per ticket! To purchase tickets in advance of the event, please contact us at 770-475-3812 or colmadmin@gmail.com. Ticket sales start mid April and all funds raised will go towards school operations. By clicking the 'Donate' button, you can easily and securely make a cash donation to COLM without purchasing raffle tickets. 31. Instant Pot prize basket - Instant Pot, Cookbook, and other goodies!